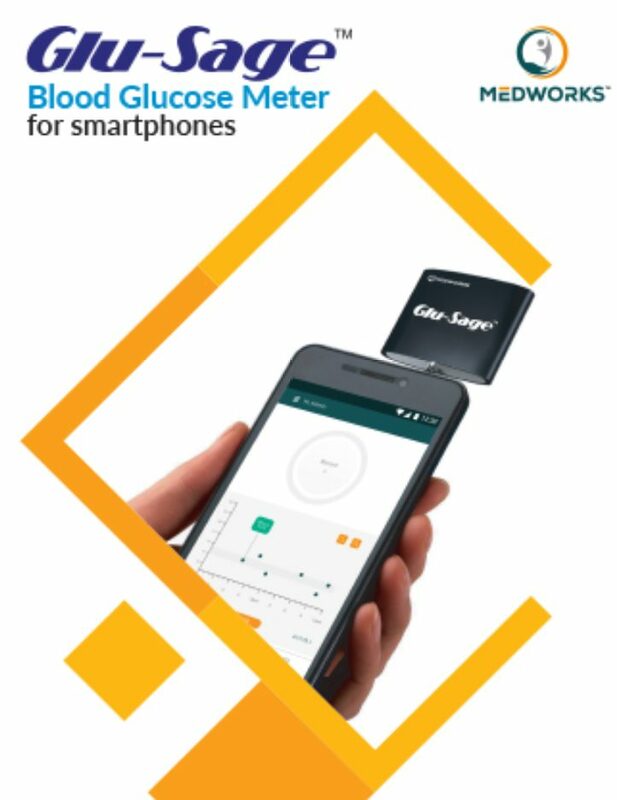 Medworks Just Launched A Smartphone Glucose Meter And Controlling Your Diabetes Has Never Been Easier! 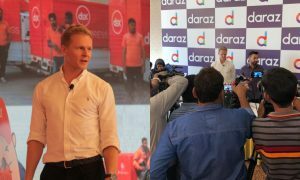 Diabetes is a global problem, and the situation in Pakistan is particularly dire. People with diabetes need to take many precautions, including exercising and watching one’s food consumption. Not only that, but continuous self-monitoring of blood glucose is another important pillar when it comes to staying on top of diabetes. Blood glucose monitoring is a cumbersome process for many people. Then there is the additional worry of sharing blood glucose data with doctors. 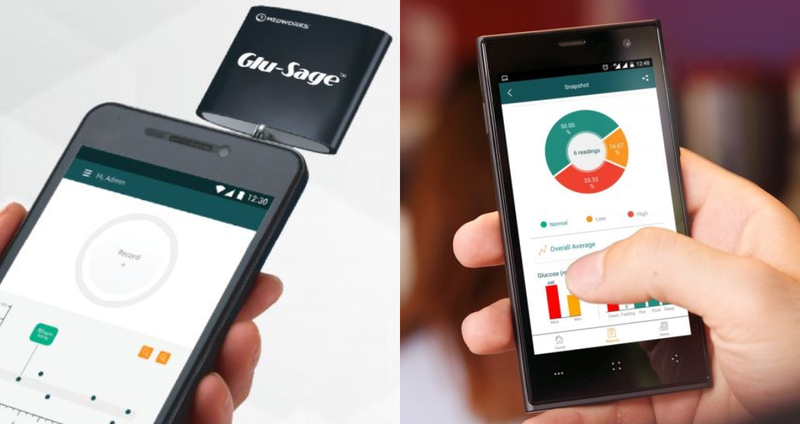 However, these worries might be a thing of the past now, as Medworks, a digital healthcare startup centered around the management of diabetes, has launched Glu-Sage, a mobile phone-based glucose meter. 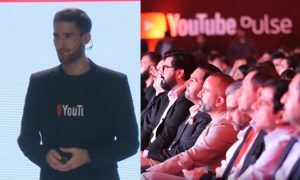 This is how Glu-Sage works! 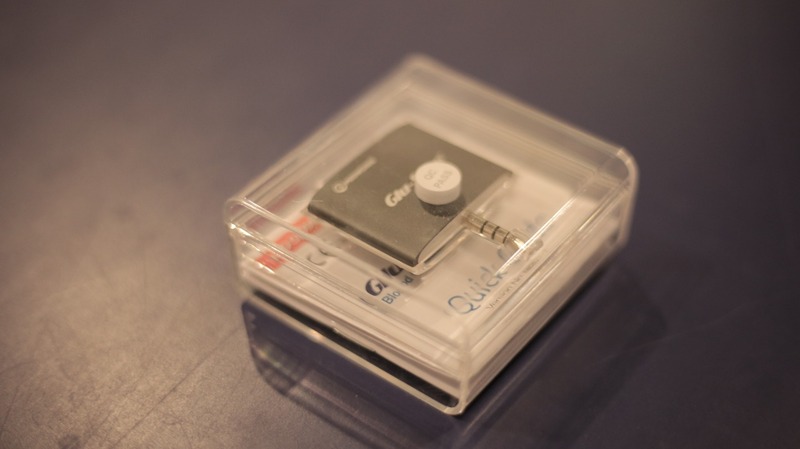 Glu-Sage plugs into the headphone jack of the mobile phone, and blood glucose strips are inserted in the Glu-Sage. The Medworks application is downloaded from Google Play Store. 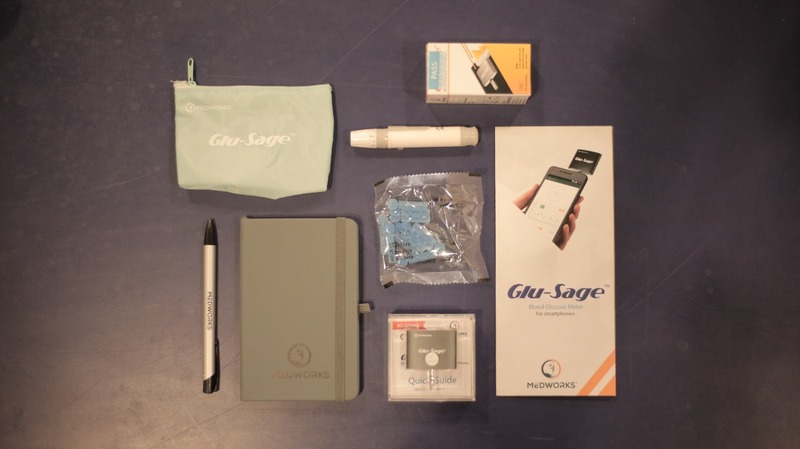 With Glu-Sage and the Medworks application, blood glucose monitoring is simplified – glucose logbooks are automatically maintained and color-coded according to an individual’s glucose targets. The data snapshot section in the application reveals an individual’s trends and provides meal-wise averages. Up to 90 days of data can be stored locally on the phone’s memory, and data prior to 90 days is stored safely and securely on a HIPAA-compliant cloud server, available for retrieval at any point! What makes Glu-sage stand out from other meters? While many meters may display averages, what they often miss is context to this data. 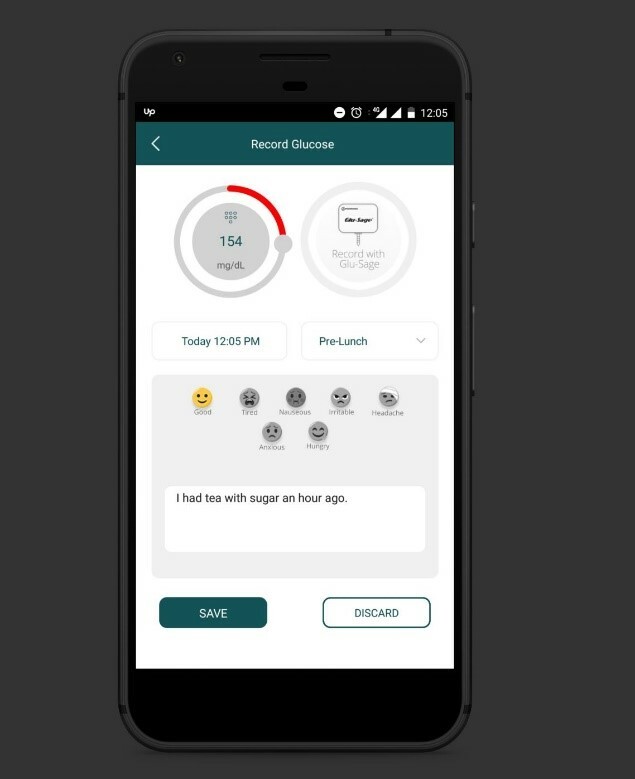 The Medworks application allows users to provide this context – users can record comments, moods, and meal-type. They are also able to record when they take insulin and medicines. With all these data points combined into one simple-to-understand logbook, people with diabetes and their healthcare providers can make informed and well-reasoned decisions regarding treatment. 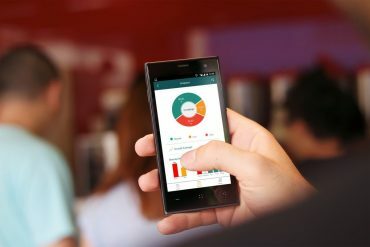 For diabetes programs where coaching and counseling are provided, Medworks also supports remote data monitoring from any phone or computer with an internet connection. Healthcare institutes can send data share requests to application users. Upon their acceptance, institutes can remotely monitor their data from an authorized account. 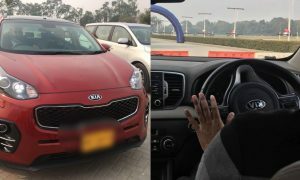 Medworks’ director of business development, Faisal Masood, said that the motivation behind providing this option was to tackle the blind spot between two doctor visits. He said that after visiting a doctor, people with diabetes fall off the radar until their next visit. This visit may not be for several months, and the healthcare provider does not know what is happening during this interval with the patient. This blind spot is tackled by providing diabetes educators and coaches with the ability to monitor remotely. 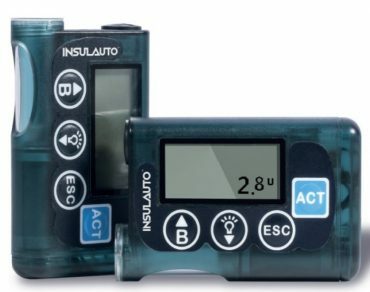 Medworks has also established a partnership with a Europe-approved insulin pump manufacturer and is offering Insulauto insulin pump, a low-cost option for Type 1 and severe Type 2 diabetics in Pakistan. Although insulin pumps have been available in Pakistan for a few years now, the price was prohibitive for many users. By offering a cost-effective solution, Medworks hopes more diabetics can benefit from this technology in Pakistan. If you or someone you know needs this game-changing glucose meter, it is available at several leading pharmacies across Karachi, and can also be ordered right to your doorstep from www.medworks.pk. If you prefer to buy it in person, it can be purchased from Time Medico, Kausar Medico, Jumbo Medical Store, SPAR, Azeem’s, Motta’s, Tee-Emm Mart, and several other leading pharmacies in Karachi. Tyrion Lannister Just Visited Pakistan Before GoT’s Final Season And Here’s What He Was Really Up To!